‘The only important thing about trends is how they relate to people’ aptly describes in its own terse way as to why and how trends should be followed or otherwise. Have you been following up on the top web development trends of 2018? If not, then surely you are missing something that might help you to create a better connect with your clients and end customers. Moreover, a new trend more often than not brings something new to the existing web design by making it more functional. In all likelihood, the new trends resonate better with your customers thereby making a positive impact on your ROI. Remember! 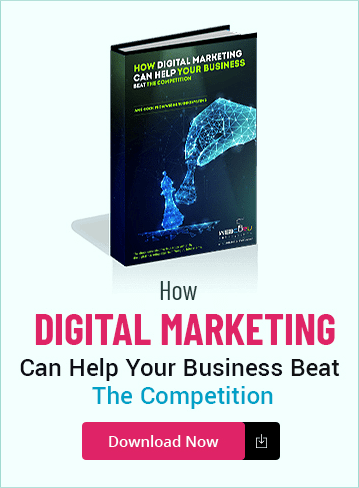 Users take only a few seconds to form an opinion about your website, and so, willy-nilly, you have to follow the latest trends to stay ahead of the competition curve. 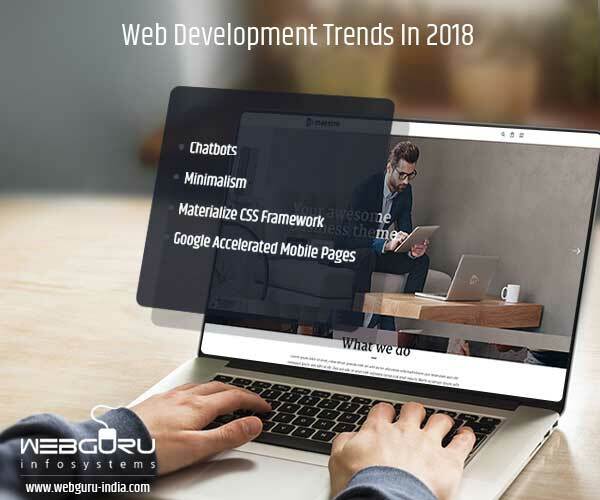 Let’s find out the trending aspects of web development that is likely to be in vogue in 2018. Chatbots: Have you bumped into a ‘May I help you’ type chat interface while logging into a website? Chances are that it might be a chatbot. This is just a precursor of how artificial intelligence can help users in answering their queries through – scanning for keywords and then displaying related information from the database or going a step ahead in using a natural language processing system. Minimalism: Did someone say, ‘less is more’? Well, how true it is, for a complex design does take away the focus from the main content. So, use design elements like textures, colours, grids, and typography as part of the popular website design trends in a minimalistic way instead of creating a clutter and an avoidable distraction for the users. Materialize CSS Framework: If you long for a web design that in more ways than one mimics the real world in terms of adding motion and depth to the elements, then Materialize CSS framework is the one for you. The design language differs from its close cousins like flat design, realism design, and metro design among others in layouts, textures, colours, patterns, and shapes. This responsive open source front end framework provides components like Parallel and Toast that are not present in other CSS frameworks like Bootstrap and Foundation. Google Accelerated Mobile Pages (AMP): Is your website responsive enough to fit into the screen of a smartphone? 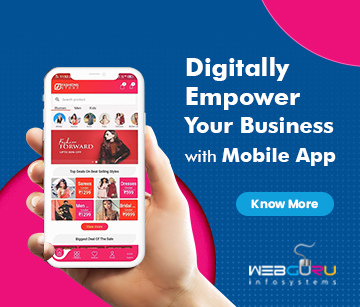 If not, you are missing out on a huge chunk of potential customers who access the Internet through their smartphones on the go. And if yes, make your website optimized for speed by using Google AMP and stop a potential customer from reaching out to a competitor just because your website takes more time to load. Apart from being faster (4X) in loading, the AMPed web pages provide a better search UX and rankings on SERPs. In fact, the trend of accelerated mobile pages has caught on with the web development community in a big way. To stay ahead of the technology curve, following the latest web development trends will keep you in good stead as far as providing a better UX and ROI are concerned. 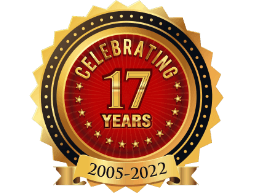 However, you should err on the side of caution by not trying out all the trends at once but approach an experienced website development company to get better results. Nice Post. Its really gives creative ideas.Thank you. Nice post!Thanks for sharing the useful and informative information about the web Development.Your shared information are too helpful for the UX designer who want to wish to learn about the informative and effective ways to increase the users traffic on our websites. I found this post very much interesting to read. Thanks for sharing wonderful information with us.